Slasher reveals its killer | TV, eh? With Slasher‘s season finale airing next week, there are still a lot of unanswered questions lingering for the terrorized town of Waterbury. We can do a little better than that, but we won’t spoil everything. 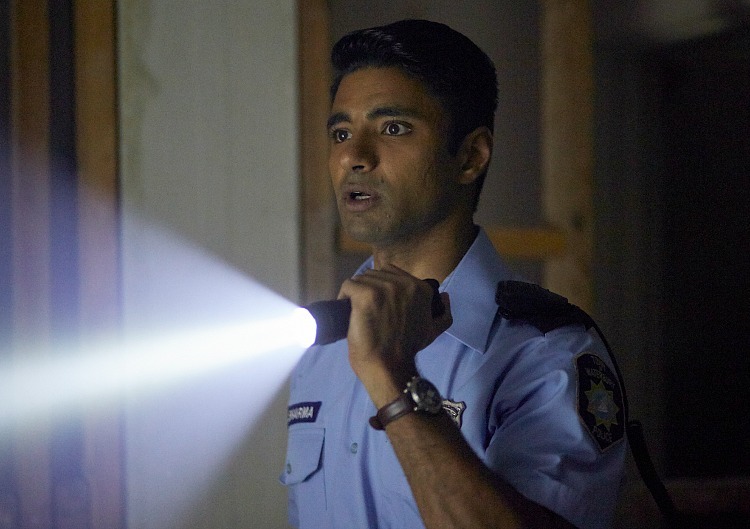 Sharma, who was strangled by The Executioner while he stood vigil in front of Sarah’s house earlier this season, makes a major discovery in the case that ties the suffocation deaths of the Vicker family to the present-day occurrences. A creepy memorial to the Vicker clan—and sketches of the six sins—results in one character revealing themselves to be the killer. No surprise that what viewers saw happen on Halloween night in 1988 back in Episode 1 wasn’t the whole story. Now that Tom has confessed to being her father, Sarah confronts him and demands to know why he murdered Rachel and Bryan. We learn there was another side to the married pair, one that affected Tom so much he turned to extreme violence. We’ve known about Dylan’s obsession with Tom, but someone else finds out too. The results are devastating. Slasher airs Fridays at 9 p.m. ET on Super Channel.